Posted in: 1 Pageant Pages, 2 Shout-out-Looks. Tagged: Angelee delos Reyes, Angelie Ocampo, Bence Bianzon, Crystal Star Aberasturi, Diane Querrer, Jamie Herrell, Janelle Tee, Kimberly Covert, Ma. 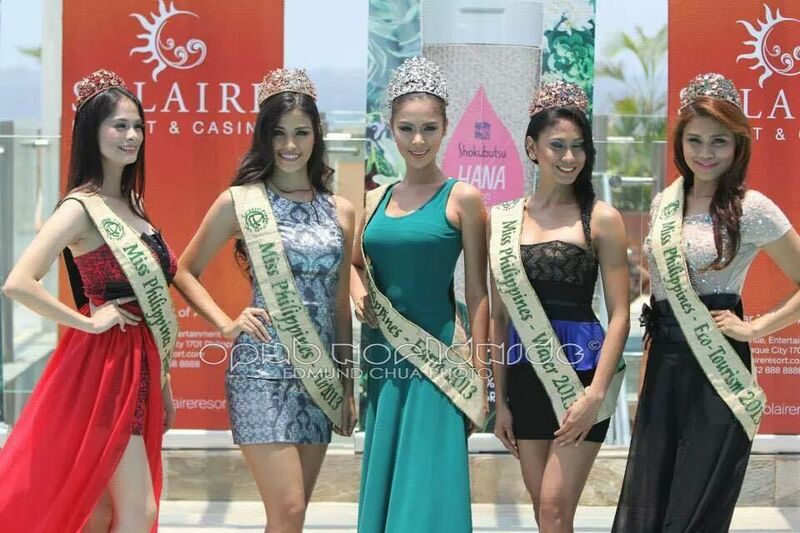 Paula Bianca Paz, Mary Ann Ross Misa, Melanie Balagtas, Miss Earth 2014, Miss Philippines Earth 2014, Monique Manuel, Solaire Resort & Casino. 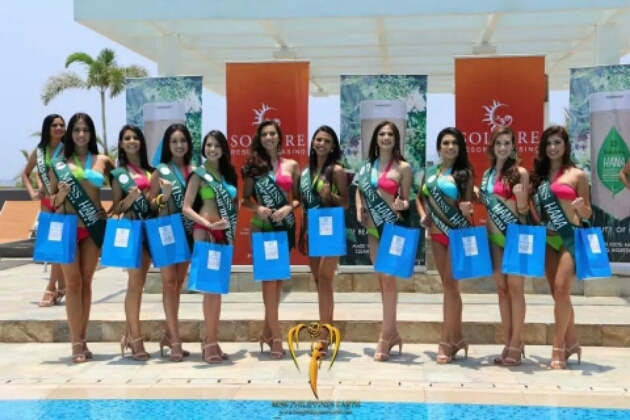 At the poolside of Solaire Resort & Casino, the forty-eight (48) Official Candidates of Miss Philippines Earth 2014 were presented to the press amidst the boiling heat of the summer sun. Despite the hot conditions, they gamely waved and posed to the delight of everyone in attendance. The crowd favorites stepped up to the plate and showed why they are currently leading the way in pre-pageant competitions. 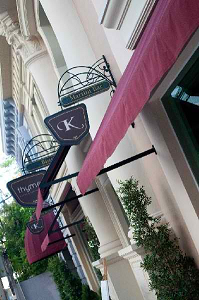 Among the ladies tipped on the hot list are Jamie Herrell, Mary Ann Ross Misa, Ma. 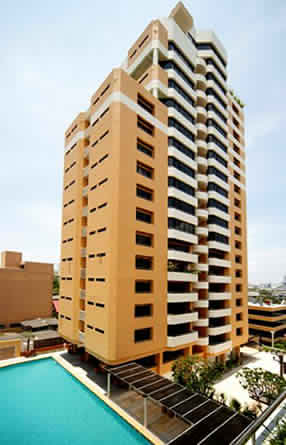 Paula Bianca Paz, Crystal Star Aberasturi, Janelle Tee, Angelie Ocampo, Kimberly Covert, Bence Bianzon, Diane Querrer, Monique Manuel and Melanie Balagtas. Miss Cebu City, Jamie Herrell was awarded Gold as Darling of the Press with Crystal Star Aberasturi of Liloan and Bianca Paz of Gapan City taking Silver and Bronze respectively. Miss Hana Shampoo Beauties were also called out to centerstage, and they are Mary Ann Ross Misa of Makati City, Angelie Ocampo of Sta. 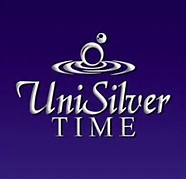 Rita Pampanga, Janelle Tee of Davao City, Melanie Balagtas of Fil-Sydney, Carmen Baena of Fil-Melbourne, Diane Querrer of Tanauan City, Crystal Aberasturi of Liloan, Jamie Herrell of Cebu City, Bianca Paz of Gapan City and Monique Manuel of Dinalupihan. ← Crystal Star Aberasturi: the underdog in Miss Philippines Earth 2014? Hope you can feature her in one of your future blogs.. 😀 thanks tito norms.. Godspeed..
ROSS MISA – MPE 2014..
Sir Norms, which countries do you think are willing to host Miss Earth? A Latin American country as host would surely boost the popularity of Miss Earth! Telemundo pa lang magcover ok na! I think the possibilities are just around the Asian region. Nothing beyond.